I have always loved to hear R.C. Sproul preach, so I was more than happy to do a review for Economics for Everybody by him. Economics has always seemed like a pretty dull subject to teach, but this one was very good and detailed. He made economics seem fun! This curriculum consists of 12 lessons, with videos and a comprehensive study guide. The study guide contains a lot of added material! We started our lessons with the Message Introduction and went to the videos on the DVD from there. The videos vary in link from 15-27 minutes. They keep the viewer interested and are somewhat funny! This curriculum is very definitely Christian based. It begins with the fact that God owns everything. I love the fact that Christian principles are very strong throughout all of the lessons. You can go HERE to watch a short clip. I highly recommend this product for everyone that is interested in teaching economics to their highschooler and would like it to be from a Christian perspective! My 10 year old got a lot of useful information from it. There are 3 lessons that are mentioned for an older audience, but he took away some valuable insights. Check it out at the links below! You can purchase Economics for Everybody from Timberdoodle HERE. 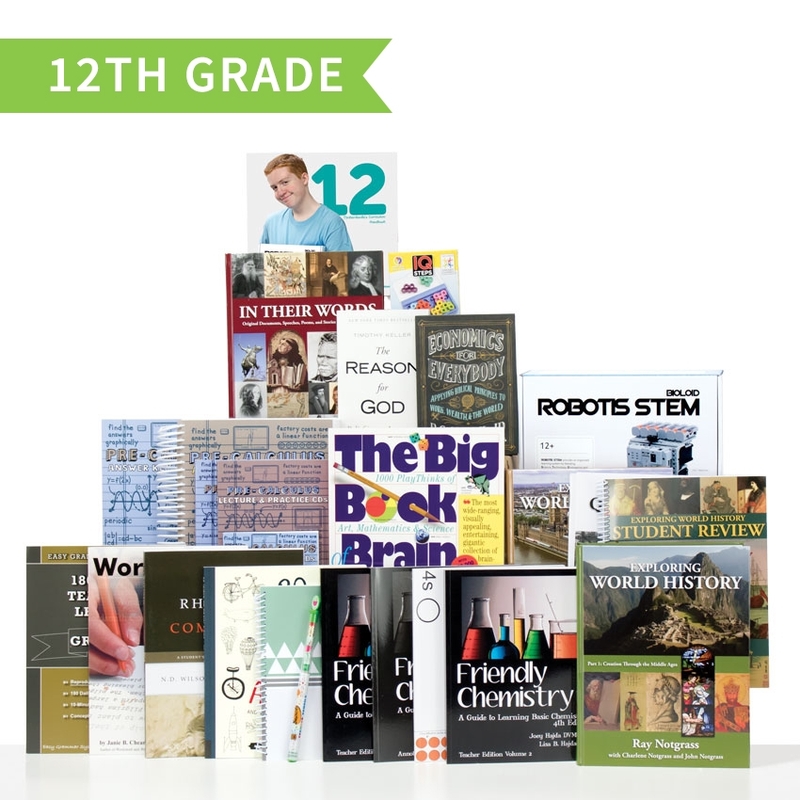 It is also apart of the 12th grade curriculum Kit. You can check out it HERE. I received a copy of Economics for Everybody free in exchange for an honest review. As always, all opinions are strictly my own. Being able to use scissors and cutting paper is something that all kids need to learn. I was excited to give My First Scissors a try with my 3 year old! I remember my oldest had so much trouble cutting paper with regular scissors at first, so I was hoping these would help with my youngest. Here he is patiently waiting to try out the scissors!! The design of My First Scissors, makes it so easy to pick up and already have them in the right position in their little hands. There is no need to worry about putting their thumb in a little hole to be able to use the scissors, which makes it so much easier to start using! My First Scissors are really light. They will place the paper in between the blades and cut. The blades are protected by plastic, so there are no worries about them cutting themselves. Along with the opportunity to try My First Scissors, we were also sent the book Let's Cut Paper from Kumon. Kumon creates some amazing books for kids! The pictures in the book are very colorful and exciting to look at for little kids. They start out very simple for little kids to be able to do. They do work their way up, but it is so slow, you don't even notice it. He was able to use the scissors with great ease. He also wanted to keep going! I think he would have done the whole book if I would have let him! You can purchase My First Scissors and Kumon Cutting Skills Books on the Timberdoodle website. They are also available in the Preschool Curriculum Kit. Be sure to check out all the other things on their website! Where you will find me linked at. 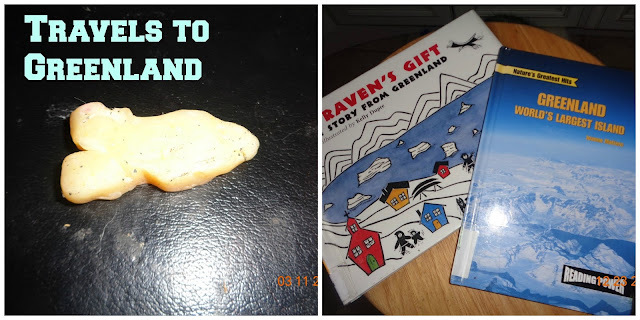 This week our travels bring us to Greenland! 1. Over 85% of Greenland is covered in a thick sheet of ice all year long. 2. It is the largest island in the world. 3. Fishing is the major industry of Greenland. We also added these books and DVD to our study. You can go HERE to see the other books that we use. Whalers in Greenland developed scrimshaws to record stories and observations they wanted to remember. They made these scrimshaws in ivory. We carved in soap! Stay tuned for next weeks adventures as we travel to Columbia!! Here is a link to our Pablo Picasso study! Copyright © 2011- 2015 Growing in God's Grace· All Rights Reserved · Design by Cathy Ludi *Unless otherwise indicated, all Scripture quotations are taken from The Holy Bible, English Standard Version® (ESV®), copyright © 2001 by Crossway Bibles, a division of Good News Publishers. All rights reserved.